An optimal body and blood pH is an extremely important factor in maintaining good health. The term ‘pH’ means ‘Potential Hydrogen’ and measures the level of hydrogen in the blood body environment. If the pH drops below 7.2 or rises above 7.6, the brain will no longer be able to function properly. The blood, lymph and cerebral spinal fluid in the human body are designed to be slightly alkaline at a pH of 7.4. The body has a way to regulate its pH level by means of various buffers – haemoglobin, some proteins and phosphates. If the pH is too low it means that the blood contains too many H+ ions, and the buffers begin mopping up excessive hydrogen. On the other hand, if the body becomes too acidic the buffers will work to create more hydrogen ions to neutralise alkalinity and bring blood pH back to normal. However, these buffers alone cannot ensure pH stability in the body, since they have a certain limited capacity to do so before becoming saturated. In which case there must be other ways to control it. And this is where our lungs and kidneys kick into action. The lungs control pH through breathing. If the pH is high, then the process of hypoventilation (slow breathing) will reduce the intake of oxygen and removal of carbon dioxide needed to produce extra ions of hydrogen – so the body becomes more alkaline. On the other hand, fast breathing (hyperventilation) will increase the body acidity and reduce alkalinity. Kidneys are another very important organ in the regulation of body pH. They process about 85% of basic (alkali-forming) HC03 ions, which form in the blood as a result of respiration. These ions can then be reabsorbed into the blood stream to reduce blood acidity if necessary. How can pH in the body go wrong? There are 2 basic reasons for pH imbalances in the body; respiration and metabolic imbalances. Respiratory acidosis happens when breathing is too slow, so the concentration of hydrogen in the body rises. In this case the kidneys start working hard to remove basic HCO3 and raise pH. With fast breathing, the body removes too much CO2, so the blood becomes too acidic. In this case kidneys slow down re-absorption of HCO3, thus raising pH. Metabolic acidosis is caused by such factors as diabetes (ketoacidosis) and renal failure. Increased vomiting causes increased alkalinity of the blood through loss of stomach juices Diarrhoea causes loss of base HCO3 and increases acidity. More common reasons for increased acidity include nutritional imbalances resulting from a high intake of sugars refined carbohydrates, foods containing too much fat, tinned produce, excessive consumption of proteins, low level of magnesium, potassium and other essential minerals, as well as sedentary lifestyle deprived of regular exercise. Too much exercise can also briefly increase acidosis, but cooling down exercises, water, mineral supplementation (especially magnesium), and relaxation will bring it back to normal. pH below 7 is acid, and above 7 is alkaline. Our body fluids – blood, lymph, intestinal fluid – are designed to be slightly alkaline at 7.4. At a pH slightly above 7.4 cancer cells become dormant and at a pH of 8.5 cancer cells will die while healthy cells will live. This property is a basis for chemotherapy where pH is raised to a level, which is deadly for cancer cells. Of course, there is much more to medical cancer treatments than just upping the level of pH, but this is the major one. How can pH levels be raised naturally? 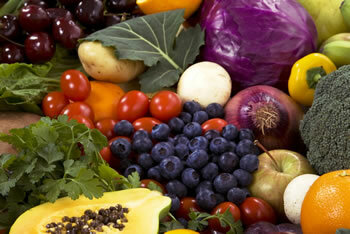 Diet is a very important factor for maintaining a healthy level of body pH. It is important to reduce intake of refined carbohydrates (sugars), red meat, dairy produce, alcohol, saturated fats, processed foods, and junk foods, replacing it with vegetables, fruit, pulses, cereals, nuts, seeds, herbal teas, purple berries and purple grapes, orange and red fruit and vegetables (e.g. carrots, sweet pepper). Coconut oil is great for reducing the number of free radicals in the body, since normal vegetable oils are prone to oxidation, especially under high temperatures. Drinking plenty of water to help eliminate toxic waste is essential. It is also important to exercise and have enough sleep to help the body rebalance itself and maintain homeostasis. Which minerals can help increase pH levels? Those minerals which can help increase pH levels include, potassium, calcium, magnesium, caesium and rubidium. They also include sodium bicarbonate, which has been researched by Dr. Mark Sircus as the most effective and affordable natural way to neutralise cancer cells. Magnesium is a miracle alkali-forming mineral, which is deficient in most of us. It is vital to up magnesium levels in the body if one is aiming to raise pH. Magnesium is best administered transdermally – via the skin – in a bath, massage, footbath or body spray if you are to do it yourself. Magnesium supplementation is also a good idea, but oral magnesium supplements alone are not enough, since much of it is excreted without being processed by the body. Sodium bentonite clay is a very powerful but mild mineral substance which can help to bring body acidity down by releasing its OH- ions which combine with the harmful excessive H+ ions in the body to form water, and the excess of OH- ions from clay are used by the body to raise its pH level. Similar to other healing clays, sodium bentonite works with the body organically, gently adjusting its chemical and biological makeup rather than forcing itself onto it. The reason for this is that clays work with the body on a cation exchange level, giving the body its freely available calcium, sodium potassium, magnesium and collecting heavy mental ions in exchange. At the same time, this clay will gently raise the body pH without side effects. Compared to the introduction into the body of other minerals (e.g. alkali-forming salts), clay is a gentle and side-effect free mineral, since it will not give or take away more than the body will require to maintain health and balance and will not force it to raise the pH level to a point which could be harmful to the body.